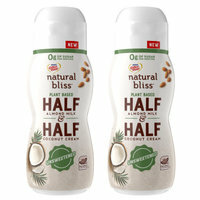 Plant-based half & half that ROCKS: How did they do it? With a 50/50 combination of almond milk and coconut cream, that’s how! This dairy-free creamer contains no added sugar, and it’s made with all-natural ingredients. Great for your morning (or afternoon) coffee, and a smart swap in recipes. It has HALF the calories of regular half & half! Check your local stores… It’s rolling out now! Oh, these chips are unique! 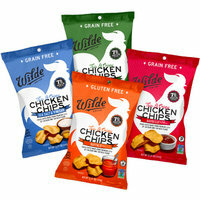 They’re made with premium chicken (yes, really), they're light and crispy, and they're way higher in protein than conventional chips. Super satisfying, and the flavors are incredible: Buffalo Style, Jalapeño, Sea Salt & Vinegar, Barbecue Seasoned, and (coming soon!) Chicken & Waffles. 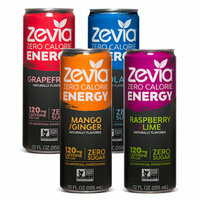 Find them at Whole Foods and Sprouts, or order online! Happy National Peppermint Patty Day, February 11th! Warm up with this low-sugar Hint-of-Mint Mocha. Share the goodies! Click “Send to a Friend” before your pals make their grocery trips!